So thankful for grandmas! During our stay in Texas this spring, Espi and I enjoyed a full day away while cousins played and Abuela cared. 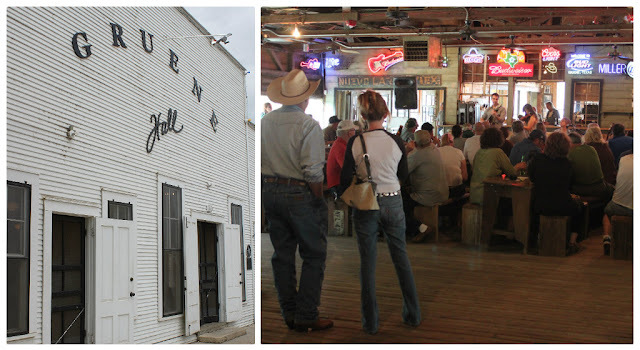 We took off after breakfast for a new destination about 1 1/2 hour away from South San Antonio, Gruene, TX. 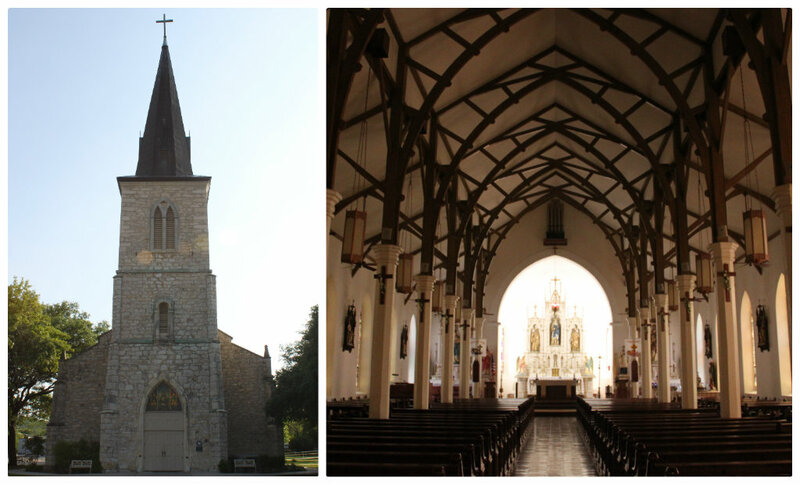 We heard it was a pretty, little town in the hill country. And it was, as well as the country and neighboring river, the Guadalupe River. We actually enjoyed the river by chance, since we got lost on the way! A lengthy, lovely drive on River Road along the Guadalupe led us to a gas station that finally directed us to the "hidden" town of Gruene just a couple miles away. When you have time to spare near Gruene, take River Road. Espi and I nearly bought a home or two off the river; the drive, the water, the trees were too tempting. 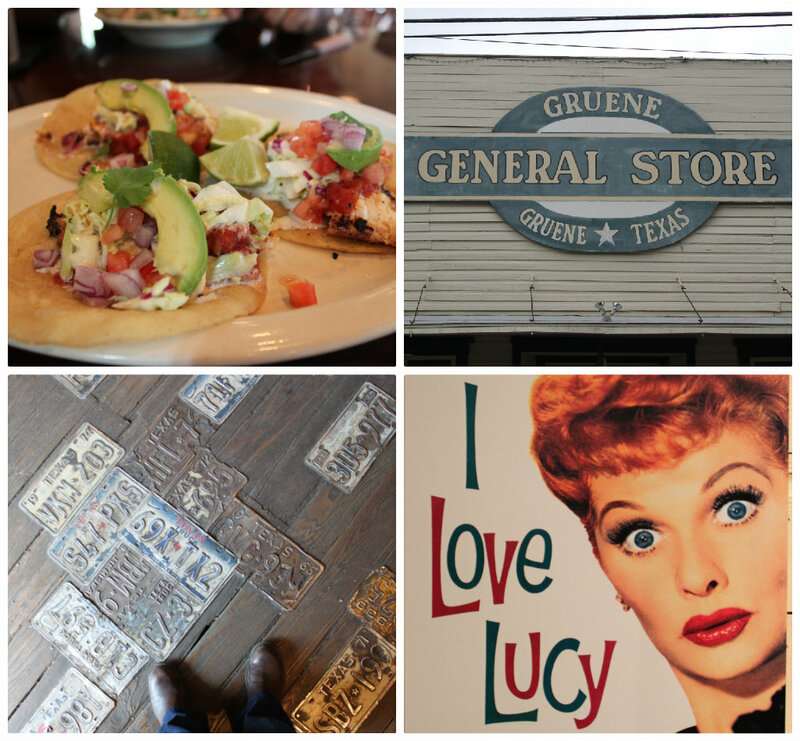 Gruene is quaint, charming, and down-to-earth with a variety of little shops and restaurants throughout huge canopies of oak trees. The idea of playing in the Guadalupe River with the town of Gruene nearby made Espi and me think that a family camping trip to this area would be a fun weekend get away sometime in the future. We would definitely enjoy coming back again. 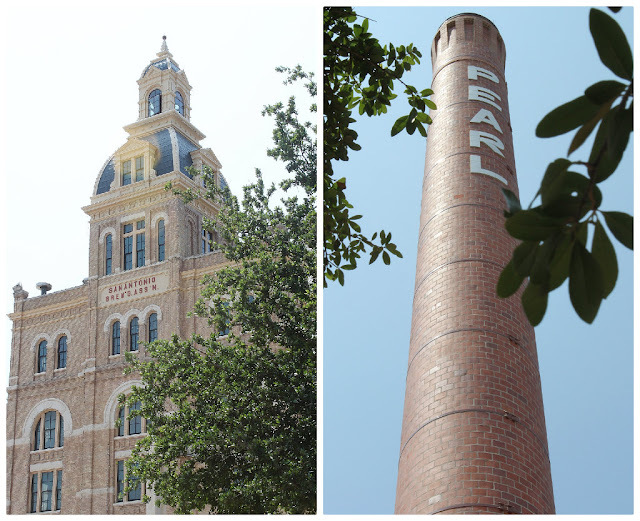 Next, we headed to the renovated and much-talked-about Pearl Brewery in San Antonio. It is still under construction, but it was good seeing the city make use of these beautiful, old structures, which already include shopping, restaurants, and entertainment. 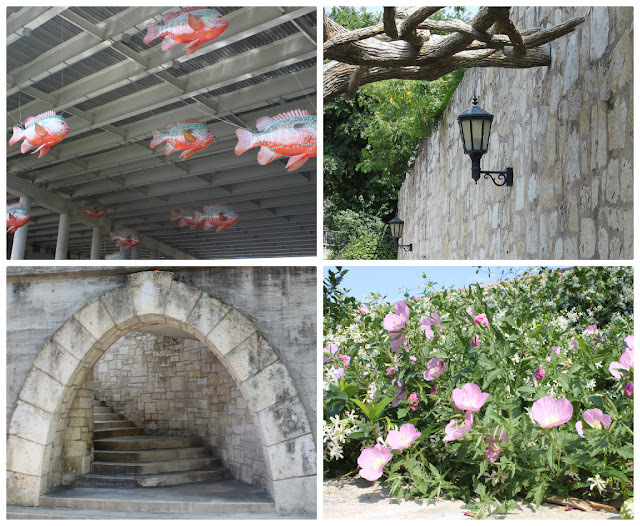 The Pearl Brewery lies along the San Antonio River Walk. After walking the old brewery grounds, we walked along the river for awhile, hoping to then catch a boat taxi for a ride. I adore the River Walk, but had never yet been on the far north end. The north end was just as pleasant as the middle portion that we were used to. Enchanting details are thoughtfully apart of the whole walkway. Well, that boat taxi we hoped for never worked out. The very few boats we saw all were going in the opposite direction. We ended up walking from the north end until we finally stopped to quench our thirst and eat at Landry's Seafood where much of the hubbub with restaurants, shops, and live music is found. We didn't hold out much hope for a boat taxi on the way back (sincerely, I sort of was--we weren't dressed for a workout), and good thing because none came to our rescue. I hate to say it, but that taxi service didn't hold up to it's claims of showing up "continuously...from 9am to 9pm...daily." We gave them several hours to prove themselves that day, and they didn't come close, unfortunately. Aside from Espi and my foot blisters, the time in San Antonio was very pretty. At the end of our date day, we were invited to stop by our friends' BBQ at a nearby park. Being off our feet, laughing and visiting, and eating delicious chicken and ribs was a perfect way to finish all the walking we had just been through. The Steinback House is hard to miss driving through Castroville; it stands out like an attractive, sore thumb. It was built in the early 1600s in France. In the late 1990s, it was disassembled and shipped to Texas. Craftsmen from Alsace, France and Castroville, TX worked together to erect this house in Castroville. What a project. The details of this house, along with the many other historical buildings in "the little Alsace of Texas" were so fun to see. Amy, thanks for the wondeful story with beautiful photos of your date day. You and David find great places to visit. I love the old buildings and the lovely river walk. 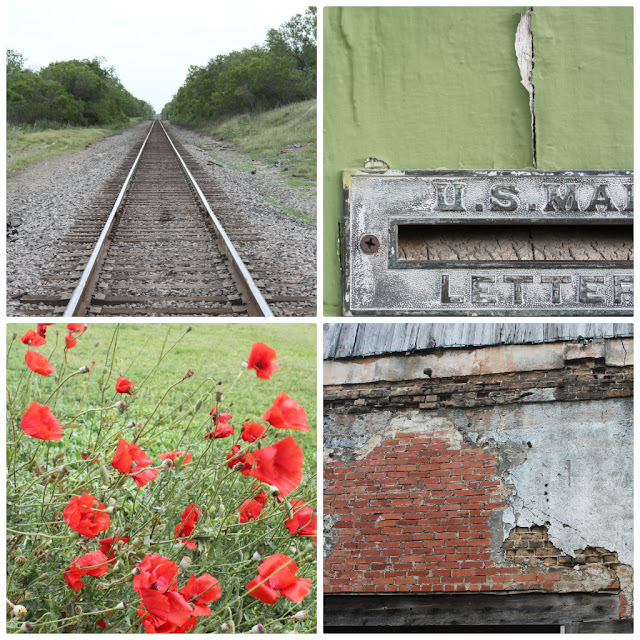 Thank you for the kind comments about Castroville!